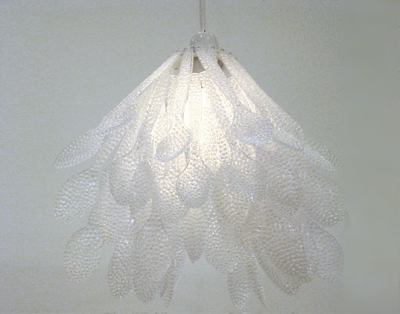 plastic spoons as chandelier .. i'm in lust. by london based japanese designer daisuke hiraiwa. found here. Weren't those amazing? I heart d/s. simply amazing, so agree with you!! looks fabulous!